And a Jamaican restaurant, yet to be named, will open in Walker's Point. 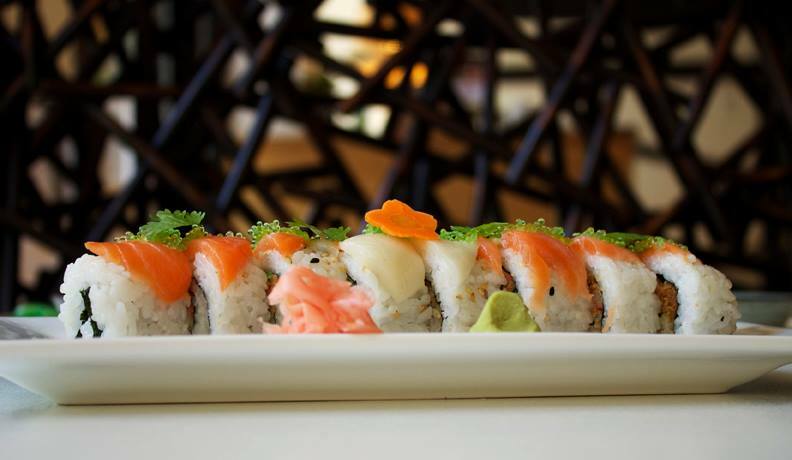 Photo from Sakura Japan Sushi & Grill Facebook page. Morse notes that the timeline for the restaurant is still pending, since they are uncertain about whether they will remodel the building or tear it down and replace it with new construction. The tentative name of the new restaurant is Sushi Yuki, which means “sushi happiness.” The venue will be operated by Jin San Koh and Sung Hee Kim, according to city assessment records. Koh and Kim also own Sakura Japan Sushi & Grill in Waukesha. They also formerly operated Osaka Japan on Milwaukee’s East Side. Shawarma House is a casual dining Levantine restaurant that integrates the succulent taste of Kabobs and Shawarma with fast paced service that can meet all needs whether they are for your 30-minute lunch break or your weekly family dinner. The go-to item for the vast majority of first-time customers is the Chicken Shawarma sandwich, and it is a must to get it on the Shrak pita. Although, if you’re in the mood for savory Kabobs, Basmati rice, Hummus and Falafel then the All Inn Grill is the entrée for you. Shawarma House started from a simple idea shared by brothers of the Saed Family that transformed into passion to introduce authentic Middle Eastern food to anyone who walked through their doors… Their motto: The preparation is an art, The food is exquisite, The Service is Phenomenal. “We will be working hard to create a chef-driven breakfast and lunch menu that Bay View residents and customers from near and far will want to enjoy,” said Mr. Sanchez. Chef Ricky Garcia, whose experience includes work at HoM Wood-fired Grill in Brookfield, as well as the Villa at Heaven City, will head up the kitchen. A lunch menu offers up many of the same options as the dinner menu, with a larger selection of sandwiches, including a vegetable pita with pickled onions, peppers, tomatoes, broccoli, spinach, cucumbers, lettuce and avocado aioli for $9, and a classic Reuben ($10). There are also wings prepared with barbecue sauce, buffalo sauce or dry rub ($9), Oysters Rockefeller, cognac mushrooms gratin ($14) and a tower of beer battered onion rings ($9). Steaks include filet mignon ($36-40), bone-in ribeye ($49) and a southwestern-style New York strip with smoky chili rub ($33). The restaurant will offer specials, including a Friday fish fry, Saturday prime rib and a brunch buffet on Sundays. The restaurant will also offer live music on Friday and Saturday evenings. The license application does indicate the desire to host live entertainment in the venue (instrumental musicians, bands and DJs). It also lists hours that would be consistent with both lunch and dinner service. Ginger, which opened in 2008, was owned and operated by Rose Billingsley and Julia LaLoggia, who also operated Stonefly Brewing Company in Riverwest. Former tenants of the space included Barossa, a restaurant LaLoggia operated with partner Deanne Wecker, and the Dish nightclub. Prior to the restaurant’s move to Brady Street, Pepi’s was a longtime tenant of a South Side space at 3929 S. Howell Ave., where it served up carryout pizza, as well as sub sandwiches and wings. Pepi’s will continue to offer its frozen pizzas for purchase at a variety of venues around town. See its Pepi’s Frozen Pizza page on Facebook for more details. In addition, beginning this September, frozen pizzas will also be available for pick-up from a shop at 4300 W. Forest Home Ave.
“Brady Street was not a fitting location” for Pepi’s? Gee – maybe if they could manage to get a sandwich to a customer on an unbusy weeknight in less than 75 minutes, maybe it would have been more fitting. Was excited about the sushi place on Bay View until I read “formerly operated Osaka Japan on Milwaukee’s East Side”. Ugh, that place was terrible and had the worst service. The hostess in particular was the worst person I’ve ever seen in the hospitality industry. In the two hours I spent there waiting for mediocre ramen I saw three comped meals due to send backs to the kitchen, one completely messed up order involving allergies (which the hostess laughed and joked about in front of the house, after the customer left), and a table that waited 40 minutes for water!! Good luck Bay View, you’re going to need it!